Below is another great video from PunkFT. Financial crises start with significant increases in asset prices followed by a severe correction and a collapse. But with more debt and more credit the market is unstable and although they have never been higher the yields have never been lower. Thanks to more and more debt driving yet more and more credit, making everything more and more unstable. Today, for example, markets have never been higher. Yields have never been lower. 1. A bank grows very quickly and issues poor quality loans against nominal yields. It uses leverage to do this and fails to be aside reserves for possible future losses. 2. Normally the share price of these banks would plummet but in fact the opposite happens – the share price is driven up. As the bank takes more and more risk to generate more return, the market gets giddy, and they drive up the share price. 3. We don’t learn from our mistakes. The Global Financial Crisis suggests that the economy is following the contours of typical recession but that it is more severe. Subsequently forecasters who have tried to make resemblance to post-war US recessions are “barking up the wrong tree” and are of the belief that conventional tools like expansionary fiscal policy, quantitative easing and bailouts are way to go. The real problem is that the global economy is badly leveraged and there is no quick fix without a transfer of wealth from creditors to debtors. Ken Rogoff (co-author of ‘This Time is Different’) suggests that the ‘Second Great Contraction’ is a more realistic description of the current crisis in the global economy. The “First Great Contraction” was the Great Depression of 1929 but the contraction applies not only to output and employment, as in a normal recession, but to debt and credit, and the deleveraging that typically takes many years to complete. If everybody else is doing it and getting rich, why, the CEO asked himself, shouldn’t I? The real cause of banking failures and systemic collapse lies with ethics at the top. And human nature tells us that bad ethics drive out good ethics. I came across this new album by Orchestral Manoeuvres in the Dark (OMD) – The Punishment of Luxury. For those of you are unfamiliar, OMD are a band from Merseyside Liverpool and have been long remembered for their hits “Electricity”, in 1979 and the 1980 anti-war song “Enola Gay”. The band achieved broader recognition via their seminal album Architecture & Morality (1981) and its three singles, all of which were international hits. The “Punishment of Luxury” album is specifically about the global divide. Today the world is more unequal than at any time in world history which is due largely to the fact that 200 years ago everyone was poor. But the increasing wealth of the higher income group has been alarming – America’s top 10% now average more than nine times as much income as the bottom 90%. The fact that people are much better off materially doesn’t seem to translate into a better mental condition – they seem to be unhappy. If you are in this situation you have undoubtedly got on the hedonic treadmill and the marketing people have got under your skin. It seems that if you don’t have the latest brand of a product you are less worthy of being recognized by your peer group and have less self-respect. The rich need increasing amounts of money to make them feel financially secure. They feel isolated and don’t share their concerns or stress as they will sound ungrateful. Thy worry that their children will become spoilt by inheriting so much wealth or resentful if its too little. Parents are concerned that money will rob their children of ambition and getting a job. The title track is below. It is very OMD for those of you who are familiar with the sound of the band. Keynes argues that saving was not a virtue from a macroeconomic view as he believed that negative or pessimistic expectations during the Depression would dissuade firms from investing. Cutting the rate of interest is supposed to be the escape route from economic recession: boosting the money supply, increasing demand and thus reducing unemployment. He also suggested that sometimes cutting the rate of interest, even to zero, would not help. People, banks and firms could become so risk averse that they preferred the liquidity of cash to offering credit or using the credit that is on offer. In such circumstances, the economy would be trapped in recession, despite the best efforts of monetary policy makers. 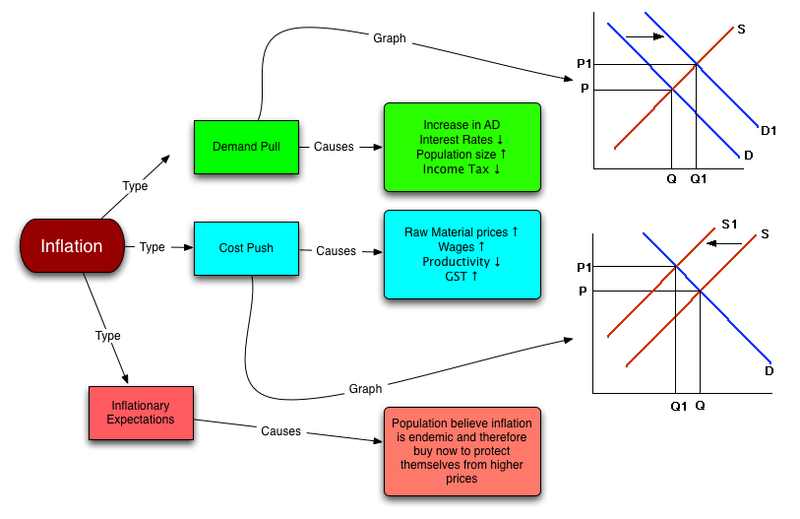 The graph below shows a liquidity trap. Increases or decreases in the supply of money at an interest rate of X do not affect interest rates, as all wealth-holders believe interest rates have reached the floor. All increases in money supply are simply taken up in idle balances. Since interest rates do not alter, the level of expenditure in the economy is not affected. Consequently, monetary policy under these circumstances is futile. Keynes saw the 1930’s as a time when aggregate demand needed boosting – C+I+G+(X-M) – as the economy was in underemployment equilibrium. With the help of the multiplier, output and employment would increase – GDP. But with increased saving leading to reduced consumption and a fall in aggregate demand, a recession will worsen. The fact that income must always move to the level where the flows of saving and investment are equal leads to one of the most important paradoxes in economics – the paradox of thrift. Keynes explains how, under certain circumstances, an attempt to increase savings may lead to a fall in total savings. Any attempt to save more which is not matched by an equal willingness to invest more will create a deficiency in demand – leakages (savings) will exceed injections (investment) and income will fall to a new equilibrium. In the graph below, the point of equilibrium is at E where the saving curve SS and investment curve II intersect each other. The level of income at equilibrium is OY and saving and Investment are equal at OH. When the aggregate saving increases, the saving curve shifts upwards from SS to S1S1. The new equilibrium point is E1 with OY1 level of income. Saving and investment are equal at point OT. As the level of saving increases, national income decreased from OY to OY1. Similarly, the volume of saving and investment also declined from OH to OT. People save more → spend less → another’s reduced income → negative multiplier → reduces demand → unemployment ↑ → incomes ↓ → AD↓ therefore planned increase in savings makes a recession worse. The relevance of the paradox of thrift today is different from that during the Great Depression in the 1930’s. Back then consumers weren’t in as much debt as they are today and the government played a much smaller role in the economy with little or no welfare state to provide automatic stabilizers. Also the financial system wasn’t an interconnected as it is today and the financial engineering that evolved in the 2000’s allowed for the creation of instruments that had no real value to the economy – CDO and CDS. But after the GFC the expectations of consumers became very negative and as workers became fearful of losing their jobs what followed was an increase in savings as they wanted less exposure to debt, which negatively affected consumption. In recent years more attention has been paid to the psychological effects which rising prices have on people’s behaviour. The various groups which make up the economy, acting in their own self-interest, will actually cause inflation to rise faster than otherwise would be the case if they believe rising prices are set to continue. Workers, who have tended to get wage rises to ‘catch up’ with previous price increases, will attempt to gain a little extra compensate them for the expected further inflation, especially if they cannot negotiate wage increases for another year. Consumers, in belief that prices will keep rising, buy now to beat the price rises, but this extra buying adds to demand pressures on prices. In a country such as New Zealand’s before the 1990’s, with the absence of competition in many sectors of the economy, this behaviour reinforces inflationary pressures. ‘Breaking the inflationary cycle’ is an important part of permanently reducing inflation. If people believe prices will remain stable, they won’t, for example, buy land and property as a speculation to protect themselves.